In honor of the NBA Finals, Marz Daily Media dedicates this Thursday’s Top Three to favorite movies featuring NBA players. Warning: “Conan the Destroyer,” “My Giant,” and “Kazaam” did NOT make the cut because those movies involved no basketball whatsoever (Did “Kazaam?” I never saw it). A special nod goes to the people who’ve seen the movies below already. If you haven’t, just know that I liked them and you might, too. ‘Dr. J’ Julius Erving, James Bond III, Stockard Channing; Gilbert Moses, dir. When Tyrone (Bond), the towel boy of the Pittsburgh Pythons, enlists a psychic (Channing), they help the team’s star player (Erving) takes his team from worst to first. 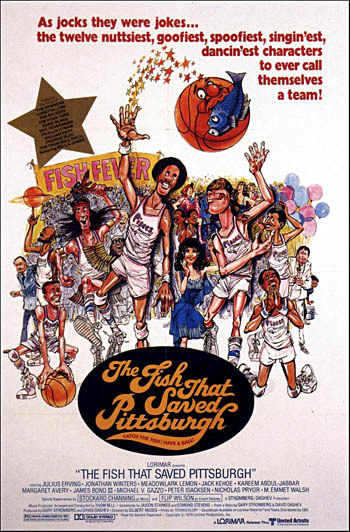 And the secret…all of the players share the same zodiac sign (oh, the 70s), leading to a change of the team name to…wait for it…the Pittsburgh Pisces!!! Alongside ‘Dr. J,’ a plethora of NBA players from that period had cameos, including Kareem Abdul-Jabbar, Connie Hawkins, Spencer Haywood and Bob Lanier. And the hoops action is true to 70s form, with very little defense and very short shorts. Jamaal Wilkes, Laurence Fishburne, Rosalind Cash; Joseph Manduke, dir. 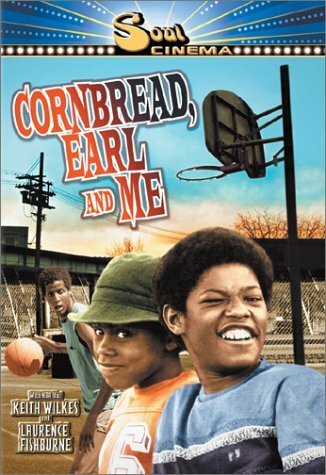 “Cornbread, Earl and Me” is a drama about Milford (Fishburne), a young boy who goes head-to-head with the criminal justice system after his friend, a college-bound basketball star named Cornbread (Wilkes), is involved in a shooting with the police. Although the core plot involves no basketball, Manduke fully capitalizes on Wilkes’s NBA fame by giving him a slo-mo basketball montage, complete with a theme song about how Cornbread loves soda pop (oh, the 70s). Shaquille O’Neal, Nick Nolte, Mary McDonnell; William Friedkin, dir. Coach Pete Bell (Nolte) has a problem: his college basketball is on a downward spiral, with mediocre seasons and no star recruits. When Bell reluctantly betrays his own ethics to bring in some fresh talent, the team improves, but Bell learns more about corruption in college sports than he’d ever anticipated. Nolte completely owns the film with what may be one of the most unrecognized epic speeches in the history of sports movies. That may have been a mild spoiler, but I know what will freshen this drama up for you: a dash of Anfernee (smh) ‘Penny’ Hardaway with a heapful of Shaq Diesel! These two pair up on Bell’s new team to dominate the college competition like only two professional basketball players could. Ray Allen, Denzel Washington, Milla Jovovich; Spike Lee, dir. Jesus Shuttlesworth (Allen), the #1 high school player in the country, must decide which college to take his basketball pedigree. To help move this process along, the governor of New York releases Jesus’s estranged father Jake (Washington) from prison, in hopes that Jesus will be swayed to attend Big State University. Jesus and Jake’s past is just one of the many distractions with which Jesus must contend, as he tries to plan his future and provide for his younger sister all on his own. It’s a surprise that Spike Lee took as long as he did to make a basketball movie, but the featured action made the wait worth it. Be on the look out for cameos by NBA role players Rick Fox, John Wallace, Travis Best and Walter McCarty. Actually, don’t be on the look out for them; their acting is the least exciting part of the movie. Previous: At Last! A New Basketball Comedy! 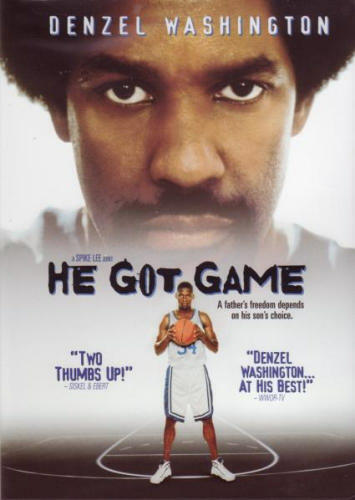 A) Wasn’t it the governor in He Got Game that released Denzel? 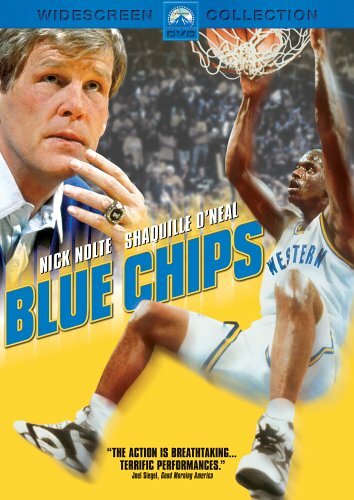 B) Calbert Cheaney, Allan Houston, Bobby Hurley and several other NBA players make appearances, though clearly do not star, in Blue Chips. Wanted to point that out. A) You right. The piece has been corrected. Thank you. B) Good note. Alas, there was no way I was going to mention those guys.